Finely detailed miniature red squirrel in bronze from the Butler and Peach sculpture collection. Britain's National Bird, the distinctive and much loved, red-breasted Robin is one of the most popular visitors to British gardens. Robins are the only garden birds to sing all year round. 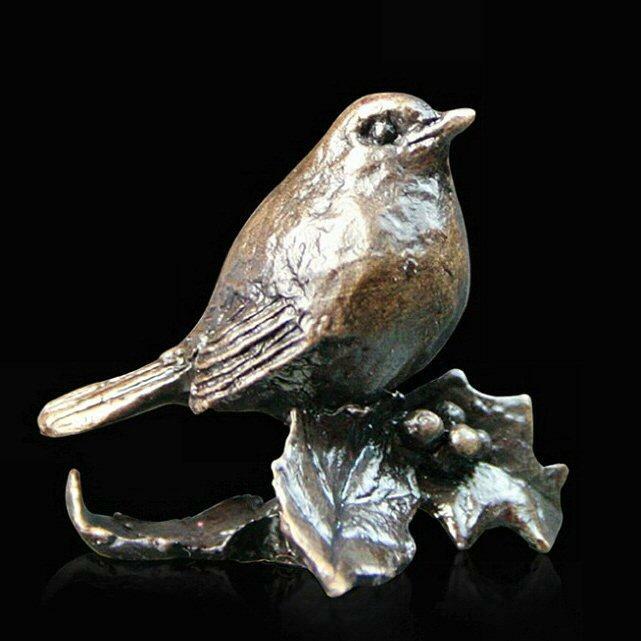 Finished by hand with a traditional patina this would make a fine addition to a collection of miniature bronzes or equally make a treasured gift for a bird enthusiast.